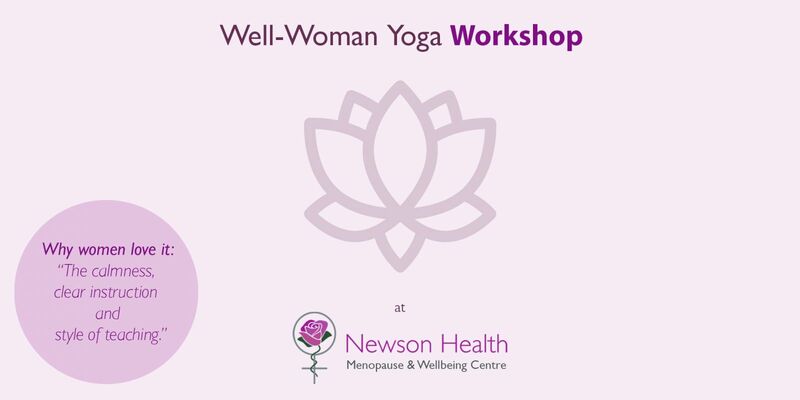 Monthly Well Woman Yoga Events are designed to help the mind and body restore vitality in women experiencing peri-menopause, menopause & post-menopause symptoms. The sessions, for a maximum of 12 people, include: Pranayama (breathing practices), Yoga Asana (physical movement) and Yoga Nidra (deep guided relaxation). All are yogic practices that can help manage symptoms such as anxiety, insomnia, mood swings and exhaustion, with a view to promoting positive health and healing with regular yoga practice. The sessions will also invite an opening for discussing and sharing individual experiences of the peri-menopause, menopause & post menopause. Lucy Holtom is a Warwickshire based Yoga Practitioner and has practiced vast and varied forms of yoga for the last 25 years, in different parts of the world, influenced by numerous inspirational teachers, for each cycle of her life. “One of the amazing aspects of yoga is it’s ability to support one’s own transformational journey, on every single level of the self.” Yoga can play a vital role throughout the rhythms of life as a woman: the menarche, motherhood, postnatal, peri-menopause, menopause and postmenopause. Each cycle provides an opportunity for inner growth, wisdom and change. Although the symptoms for any of the stages in a woman’s life are often challenging and can cause deep suffering, yoga can offer it’s practices to be used as a source of nourishment, restoration and release. Lucy has studied (and continues to study) Yoga for Women’s Health, specialising in each and every cycle of life. 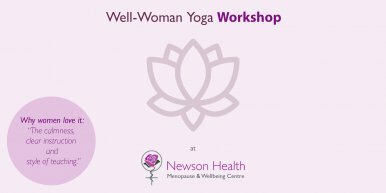 The monthly Well Woman Yoga Events offer an opportunity for women to practice yoga in an intimate setting and explore which practices resonate most effectively for their personal needs. NB: Please wear comfortable clothing, bring a bottle of water and some warm socks (for relaxation). No experience necessary.